Moving cast shadow causes serious problem while segmenting and extracting foreground from image sequences, due to the misclassification of moving shadow as foreground. 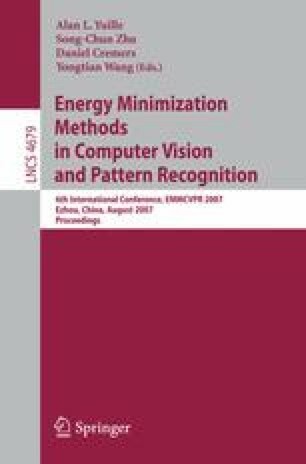 This paper proposes a boosting discriminative model for moving cast shadow detection. Firstly, color invariance subspace and texture invariance subspace are obtained by the color and texture difference between current image and background image; then, boosting is selected based on theses subspaces to discriminate cast shadow from moving objects; finally, temporal and spatial coherence of shadow and foreground is employed on Discriminative Random Fields for accurate image segmentation through graph cut. Results show that the proposed method excels classical method both in indoor and outdoor scene.